In order to steer clear of problematic situations with the drains, drainpipes, and sewer system it is extremely important to make drain cleaning a regular part of your overall property maintenance plan. Far too many residential, commercial, and industrial real estate owners are completely unaware of the fact that a lot of the items that go down the drains on a daily basis cling to the interior surface areas of the drainpipes. Grease, food particles, hair, soap, shampoo, shaving cream, and water scales to name only a few, build up extremely quickly within the pipes. If left untreated it turns into clogs, which prevents the water from draining properly in your sinks, showers, and tubs. Your toilet is also a drain. That means that items flushed down it on a daily basis also cling to the drainpipe walls and cause clogs. In essence, the blockages act like a dam that does not allow the wastewater and sewage to pass through the drainpipes and enter into the sewer pipeline where they are permanently disposed of. Since the wastewater and raw sewage has nowhere else to go, it ends up backing up into the system. You can only imagine what takes place next. Eventually, it will flood the interior of your home, place of business, or investment property through the toilets, sink drains, and shower/tub drain. Exposure to wastewater and raw sewage is a major health hazard that can cause serious illness and should be avoided at all costs. 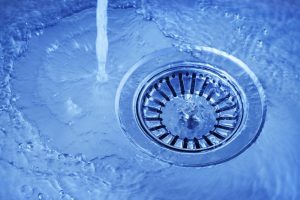 The good news is that a regularly scheduled drain cleaning in St. Louis, Missouri is as affordable as it is necessary. However, it is particularly important that you only hire a professional drain cleaning company, like Nu Flow Technologies that specializes in this type of delicate plumbing procedure. Otherwise, you may very well end up regretting it. The drainpipes, sewer pipes, and plumbing fixtures can break quite easily when metal tools, highly pressurized water, or liquid chemicals are utilized. These items should only be left in the hands of technicians that have both the experience and training on exactly how to use them in the proper manner. Property owners should never take unnecessary risks with their plumbing systems as it can very well lead to extremely expensive repairs. A broken drainpipe repair bill can often cost thousands or even tens of thousands of dollars. Please contact us at your earliest convenience with any and all questions regarding our drain cleaning services in St. Louis or to set up an estimate for any of our plumbing procedures at your property. We look forward to welcoming you to the Nu Flow family and building a long lasting working relationship.